Railpictures.ca - Paul Santos Photo: Fire damaged CSX AC44CW that was purchased by CP is getting it’s usable parts harvested starting with the AC traction motors. | Railpictures.ca – Canadian Railway Photography – photographie ferroviaire Canadienne. Copyright Notice: This image ©Paul Santos all rights reserved. 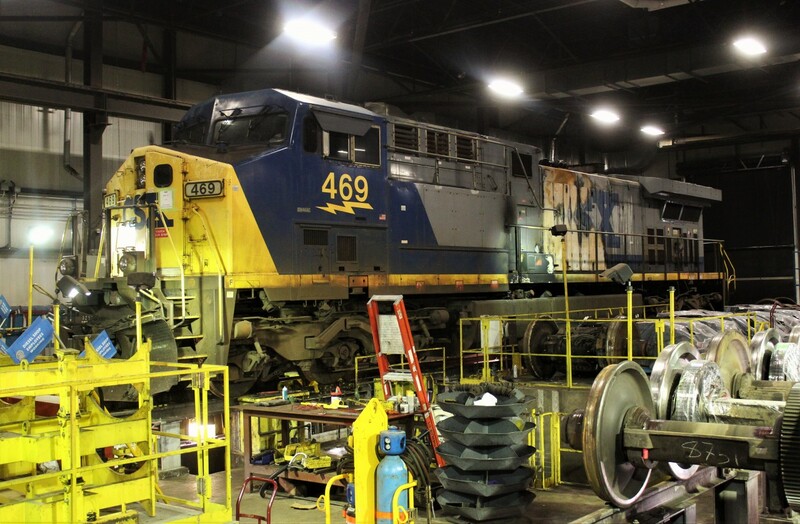 Caption: Fire damaged CSX AC44CW that was purchased by CP is getting it's usable parts harvested starting with the AC traction motors. You going to scrap this once you harvest the parts?